Beer Money is organized as a “Pub Crawl to Financial Success.” Each chapter is a clear, actionable step with guidance on financial decisions you may face. Excruciating detail such as valuation metrics for stocks, estate planning, complicated options strategies, etc. are NOT part of this book. 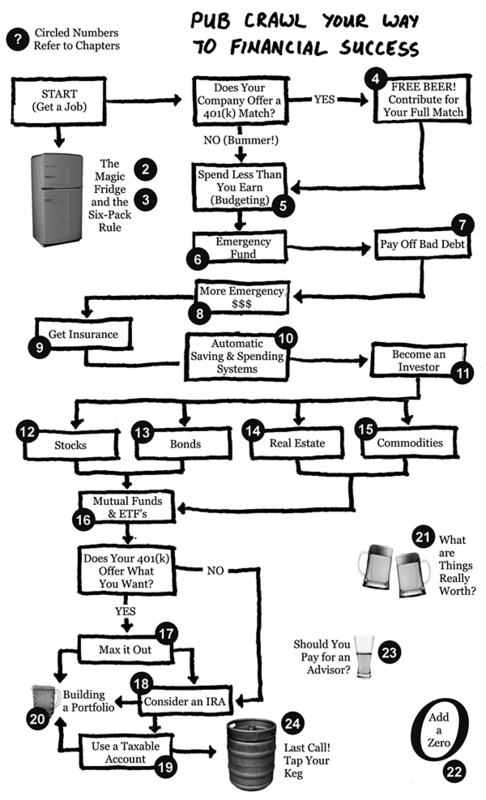 Beer Money is written for anyone who wants the basic building blocks of personal finance and investing.